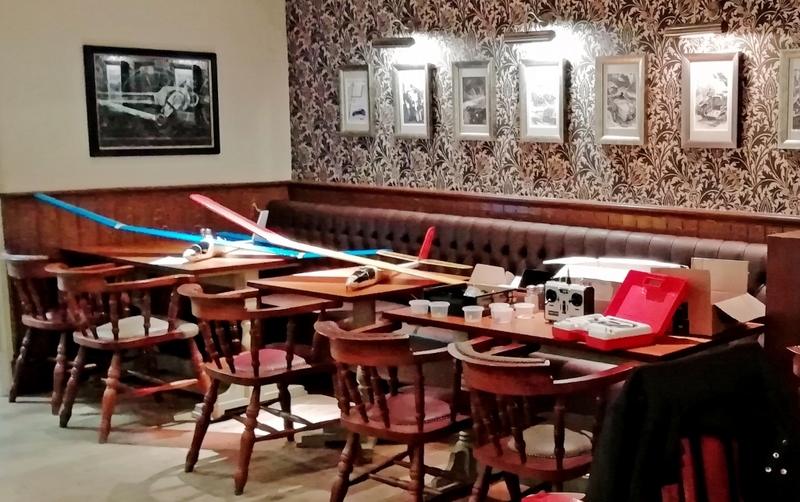 Next social evening booked at the Duke of Gloucester CW1 5NP meeting in the Waiting Room 7.30pm Tuesday 7th May. 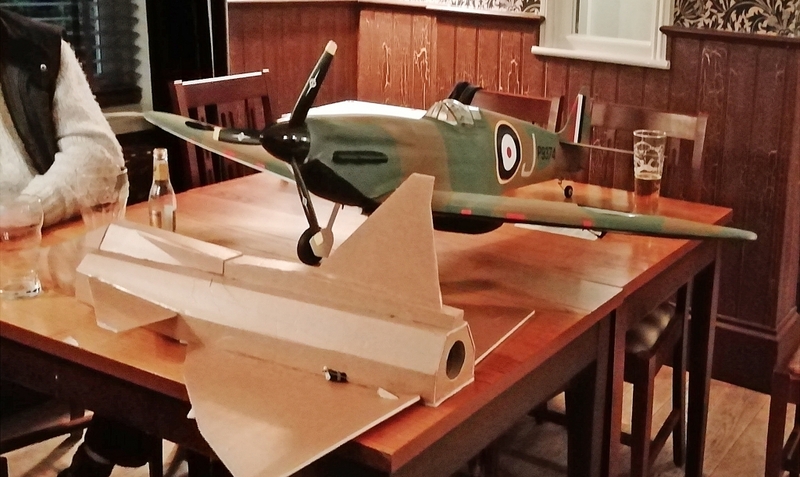 There should be plenty to chat about as the flying season will be well under way. 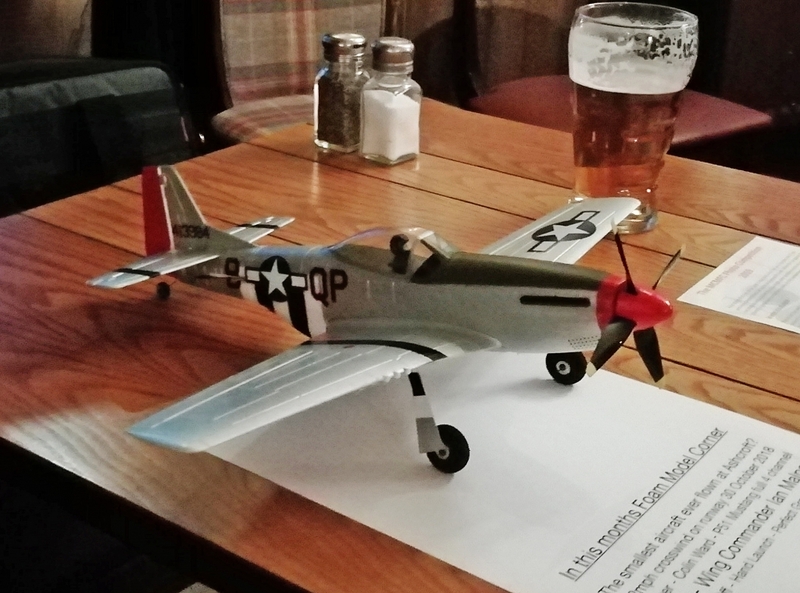 … a great deal of discussion about the items in the above photos plus a great deal RC related chatter, oh and the beer! 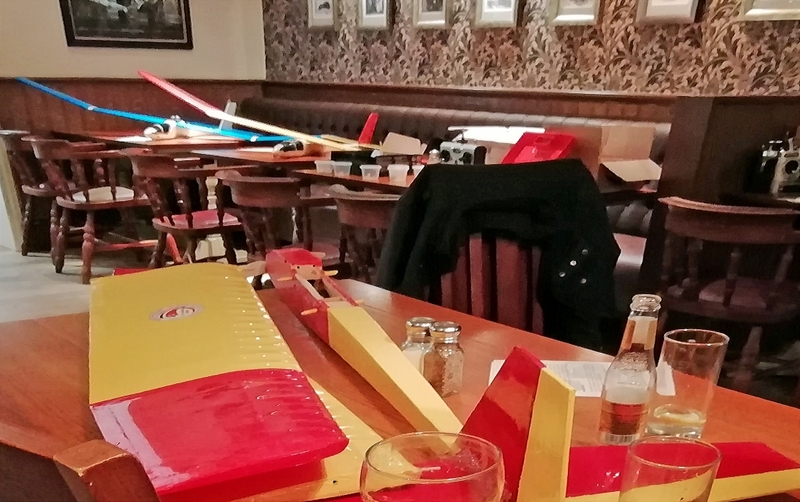 If anyone wants me to bring any of the motor gliders or any of the other stuff to the May meeting then please let me know (you can reply via the event page).